The raised beds at the GardenFarm are productive beyond belief. But it’s not by accident, and it’s not hard. It just takes paying attention to a few simple rules as you add the soil, and amend it season after season. I’m often asked how to create a productive raised bed garden. Whether you choose to contain your bed within a raised border, or simply mound the soil up, the benefits of raised bed gardens provide a significant advantage in creating a productive and healthy growing environment. 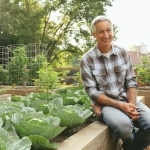 Gardening in raised beds offers a simple and effective way to grow healthy and productive plants by manipulating the growing environment for the better. No matter how bad the ground you’re starting with, anyone, anywhere, can easily learn how to create a productive raised bed garden. Just in case you think you’re ground just won’t work for having a garden, think again. 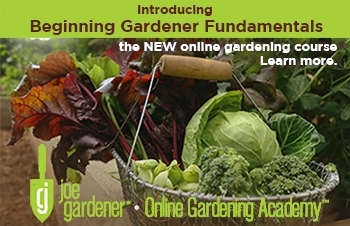 With raised bed gardens, you’re growing above ground, not in it. In fact, some of the best gardens I’ve ever seen were built right on top of asphalt parking lots, all thanks to the benefits of raised bed gardens. So just because you think your soil is too bad, or all you have is pavement all around you, never let that stop you from having a garden. Gardens that have great soil and drainage are a sure way to get your plants off to the best start. Raise beds are a reliable and practical solution to make that possible. The choices are many when it comes to creating your raised beds. From how to contain the soil, to bed size, to what soil will go into them. The following considerations will get you well on your way to creating a raised bed garden that is ideally suited to your needs and preferences. Pressure-treated pine: If you’re purchasing material to build your raised bed, treated pine is cost-effective. It’s readily available, comes in uniform sizes and can last for years. The downside is the wood is treated with chemicals. The concern is that those chemicals could leach into your garden soil. While the likelihood and risk of that happening are low, for some, the hesitation still lingers from the days when those chemicals included arsenic. If wood-preserving chemicals are not something you potentially want in your edibles, yet you’d still like to use treated wood, consider lining the interior of the beds with thick plastic or other barriers such as polymer paint. Rot-resistant hardwood: Cedar, cypress, redwood, locust, oak, and others can last for years without the need for chemical preservatives. The downside is the cost. It’s typically several times more expensive than treated pine. You should also be sure it is coming from a sustainable source. Look for FSC certification from the Forest Stewardship Council (FSC) on any wood you buy. The FSC is an international organization that has developed standards for responsible forest management. Composite material consisting of plastic or wood fibers: Perhaps the newest kid on the block, this option is growing in popularity as it becomes more readily available. Like the composite material in some decks, it’s made from recycled material and last for years. It’s a nice way to recycle waste products while getting the look and consistency of wood. Pricewise, the cost is between treated pine and hardwood. The downside is some types of this product can look more plastic than wood and become a bit wavy, especially for the longer side pieces. Cinder block/concrete masonry blocks: The appeal of cinder blocks stems from their uniform size, stackability, low cost, and availability. The biggest drawback to this option is the material used to build them. Masonry material can contain fly ash (especially older blocks). Fly ash includes heavy metals. While these components are bonded and insoluble in concrete, there is a chance that this hazardous material could become mobile if blocks were. To play it safe, check with the manufacturer of your blocks if possible to find out what material was used to make them. You could also line the vertical surface with a heavy plastic. Large stones, etc. : The remaining options including large stones, are quite varied. Cost, availability, and ease of use often determine what makes up the boundary of your raised beds. Just keep in mind, use materials that pose no risk of leaching harmful chemicals into the soil around plant roots whenever possible. In other cases, take necessary precautions to ensure any risk of hazardous materials being absorbed by plants is eliminated. Mounded soil only (no physical boundary): A raised bed (my definition anyway) doesn’t require physical boundaries to contain the soil, although that’s the general implication. Many gardeners and especially farms of all sizes have great success growing in “mounded” raised beds. In such cases, there are no physical barriers to contain the soil. Instead, the edges of the mounded soil are tapered out at roughly a 45-degree angle. The taper tends to allow the bed to hold its shape while eliminating the need to build a physical structure. The simplicity of its design and elimination of extra material and cost certainly has its appeal and practicality, while allowing the inclusion of important soil amendments to create ideal growing conditions. The absence of any physical boundary is also the downside to mounded only beds. It is likely that you will need to reshape, form or even rebuild the beds after each growing season to return them to their original form. Tips related to bed construction: When using wood that has the potential to bow or warp, note the direction of the grain at the end of each board. When constructing the bed, position the boards, so the grain pattern is pointing in, towards where the soil will be. Over time, boards will warp in the direction of the grain. By placing each board facing inward, the ends of each board will not pull away from each other but towards each other instead. Also, consider inserting one of more stakes or anchor boards vertically at the mid-point (at least) on the interior side of each long side. The pressure created by heavy soil, especially when it’s wet, will cause your beds to bow outward. Placing an anchor stake or more along the run and screwing into it from the outside, will help hold the boards in place and prevent them from bowing out. Do this for any material that has the potential to flex over time, so wood, composite wood, plastic, etc. For attaching all boards, use galvanized or weather-resistant decking screws. The longer, the better (although 3 inches is sufficient). By gardening in raised beds, you can make any size you want, and keep it there, and only there (if that’s what you like). When building beds, or mounding up soil, it needs to be wide enough for roots to spread out and plants to grow, but not too wide that you can’t reach into the center of the bed from one side. The rule of thumb is never to make it so wide that you need to step into the bed and on the soil to reach any part of the plant. Therefore, my rule of thumb is no bed wider than 4 feet. As for length, it doesn’t matter. It’s simply a combination of personal preference, space limitations, and budget. But depth does matter. Plan for a minimum of 6-inches deep. Anything deeper is a plus. My beds are 18 inches. That’s more than enough. But I like giving my plants all the room they need for root expansion. The deeper the roots, the taller the shoots. Perhaps the greatest advantage to raised bed gardening is creating a contained space where you can provide the perfect growing environment, especially when it comes to the soil. I amend the soil in my raised beds twice each year between growing seasons in the spring and fall. This image is a typical application. It includes a mix of compost, decomposed leaves, and aged arborists wood chips. 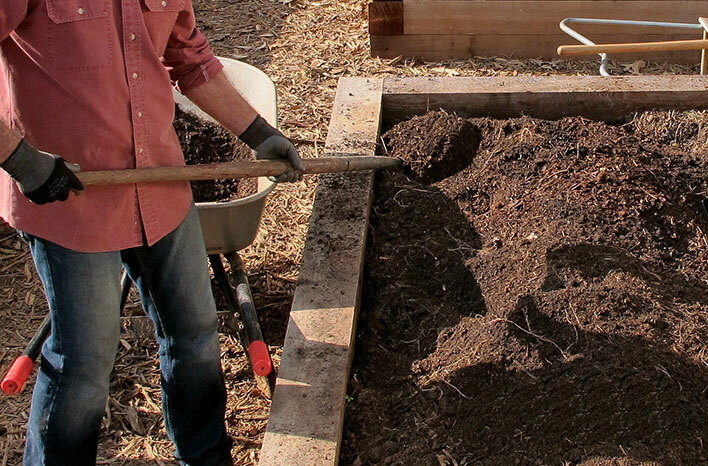 When considering what soil to put into your raised beds, whether you’re starting from scratch or amending an existing bed, ideally, it’s best to incorporate plenty of organic material such as compost, rotted leaves, well-aged wood chips, and even store-bought or bulk soil amendments. That way, you’re instantly improving the native nutrients and quality of the soil at the same time. For an extra boost, consider adding a supplemental slow-release organic granular fertilizer to keep your plants growing strong through the entire season. As with containers, nutrients tend to leach out quicker in raised beds than when plants are growing in the ground. 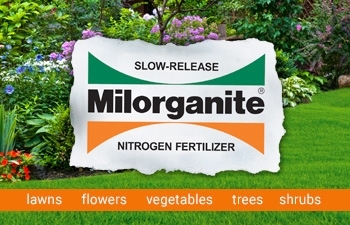 Adding slow-release organic fertilizer (such as Milorganite) is my low-cost insurance policy of choice. 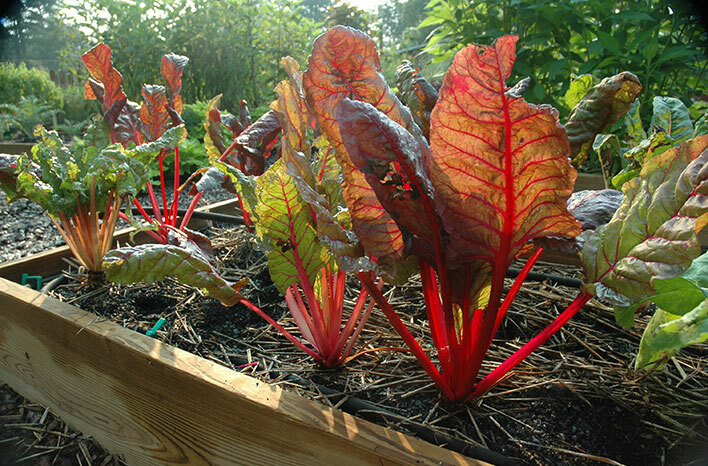 An equally important benefit to just-right soils in raised garden beds is superb drainage. Thanks to gravity, water wants to always run somewhere. Saturated soil and rotted roots are rarely a problem because the water is moving through and out of the bed, slowly but surely. 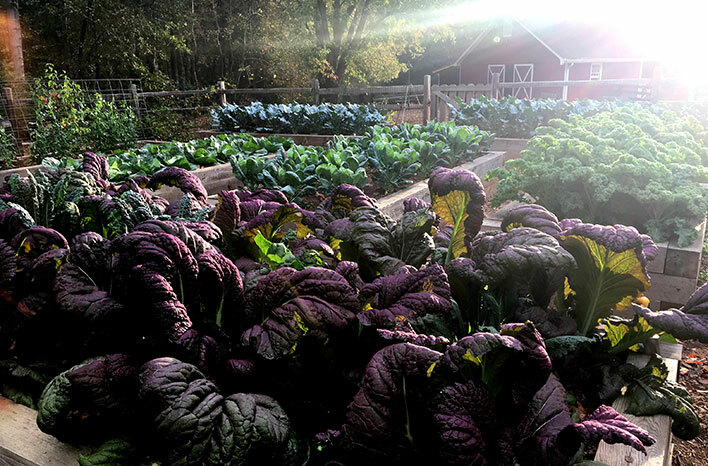 Fortunately, raised beds allow you to easily create the optimal combination of drainage and moisture retention at the same time by adding lots of organic matter. 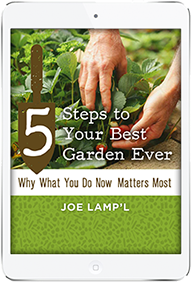 The U.S Composting Council encourages all gardeners and growers to “strive for five.” The reference is to work at making the organic matter in your soil (by weight) 5% of the total. 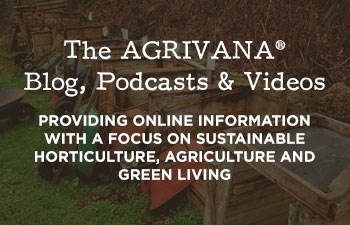 Spreading organic material: I never miss an opportunity to talk about the importance of building the soil in raised beds with quality ingredients. I use a mix of organic material to create a diverse blend. But one thing I learned early on. You get what you pay for. Your biggest investment is in your soil. Don’t cut corners here. 60% high-quality topsoil: This makes up the bulk of your bed. Purchase in bulk or bags. For anything over a half pickup truck load, I suggest buying in bulk from a reputable landscape supplier. I also advise asking questions as to what goes into making their topsoil. I even go so far as to inspect it by giving it the squeeze test (as mentioned above). Good topsoil should not be sticky nor sandy, and it should tend towards the darker side vs. gray or clay in color. 25% high-quality homemade or Certified Compost: Use what you can make but source the difference from a reputable supplier.I make a lot of compost at home. But it’s never enough, other than to amend my beds each year. Therefore, it’s very likely you’ll need to purchase compost beyond what you make as well. Not all compost is created equal. My suggestion is to do your homework. 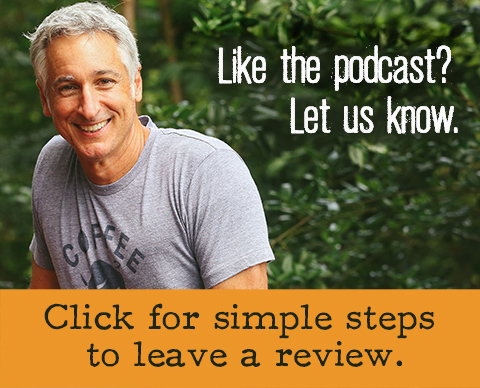 Find a reputable landscape supplier by getting referrals. Then ask them how they make their compost and where to they get their ingredients. An easy way to play this safe is to find a supplier that offers Certified Compost, as deemed by the U.S Composting Council. That’s how I buy my bulk supply and have never been disappointed. 5% mineralized soil blend: Here’s another case where finding a good landscape supply company is important. 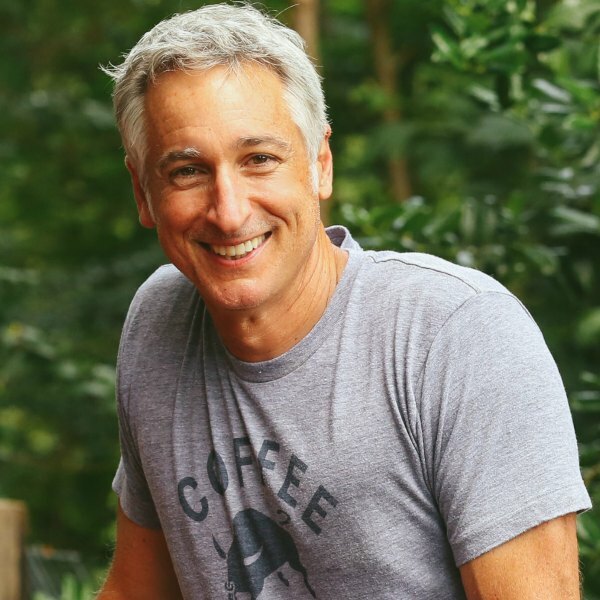 I discovered years ago the value of adding soil containing locally–sourced minerals (such as granite dust) made a noticeable difference to the success of everything growing in my garden. Like adding salt to a food recipe, a little goes a long way but makes a world of difference in the finished product. 5% worm castings: Here’s another example of not much is needed to make a big difference. If you can find this in bag or bulk, buy it. While it’s not readily available, nor is it inexpensive, it’s worth it. And again, fortunately, a little goes a long way. Worm castings are significantly higher in all the primary nutrients than ordinary top soil and adds one more layer of complexity to your overall soil makeup. Suffice it to say, worm castings (worm manure) is one of my secret weapons to creating highly productive garden soil. 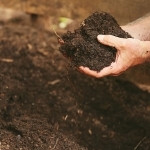 5% composted manure: For the nutrients, organic matter, and variability of particulate matter that animal manure adds to complement overall soil make–up, well-composted animal manure has been a mainstay of organic soil fertility for thousands of years. That has not changed. 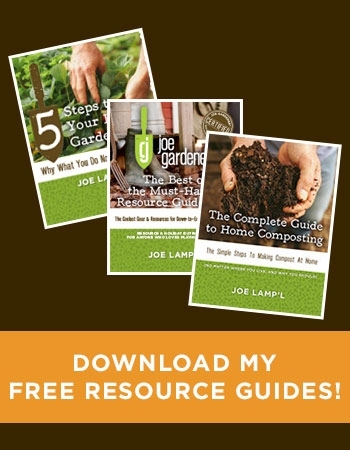 But what has changed is the risk that composted manures added to today’s garden soil can contain synthetic herbicides that are still active, even in well-composted manure. The key is buyer beware when deciding what manure to include in your soil if any. Many people have poisoned their soil with killer compost, including me, by inadvertently adding herbicide–tainted ingredients, usually found in horse manure. The bottom line is this. Composted animal manure can be a very effective and inexpensive way to build your soil quality and improve the nutrient value organically. 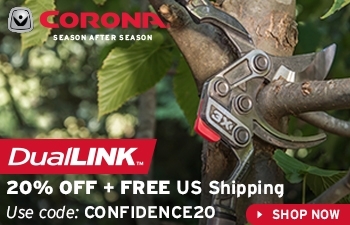 Just be sure what you’re adding is free of synthetic persistent herbicides. If in doubt, leave it out, or use this simple test to know if your composted manure is safe to use. Weed cloth: No! Plain and simple, you do not need anything under your beds. If your beds are at least 6-inches deep, few if any weeds will emerge from the original soil. And if they do, pull them out. It won’t take long before you eliminate all such weeds. Any new weeds that emerge got there from the new soil or came in after the fact. No barrier below the beds can prevent this from happening. Wire mesh for critter control: Likely not. While tunneling critters such as moles could find their way into your beds, they’re after things other than your plants. I wouldn’t worry about them. Voles “might” be an issue but the higher the beds, the less likely this would ever be an issue. And they come from the surface down, not from underneath. Gophers, groundhogs, etc. present the biggest threat. If these critters are common in your area, adding a layer of wire mesh to the bottom of your beds would be a smart precaution. And it’s always easiest to do this before you add the soil, certainly. Galvanized hardware cloth with ½-inch or 1-inch squares should be adequate for any threat. 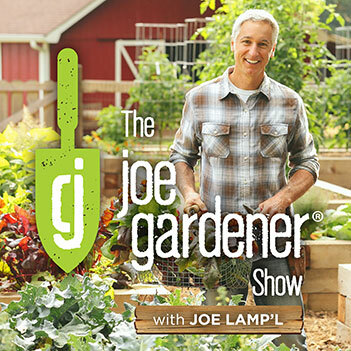 Irrigation: Raised beds will dry out faster than in-ground beds. Therefore, it’s even more important to make sure you keep up with the watering in the absence of rain. In our busy lives, it’s harder than ever to provide the appropriate amount of supplemental water consistently. And consistency is key. 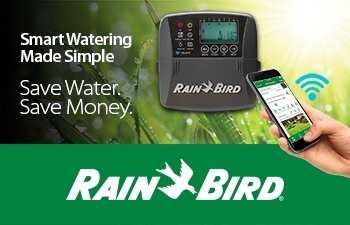 Drip irrigation on a soaker: My gardening life (and yours too) will get infinitely easier when you put your irrigation on auto-pilot with an inexpensive portable timer and drip irrigation or soaker hoses. 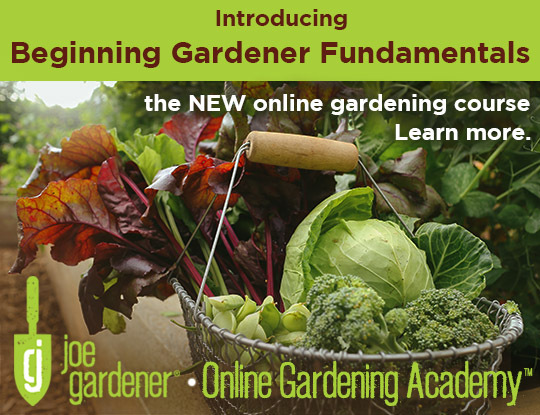 Top it off with a layer of mulch and your garden will greatly reward you for being so smart. 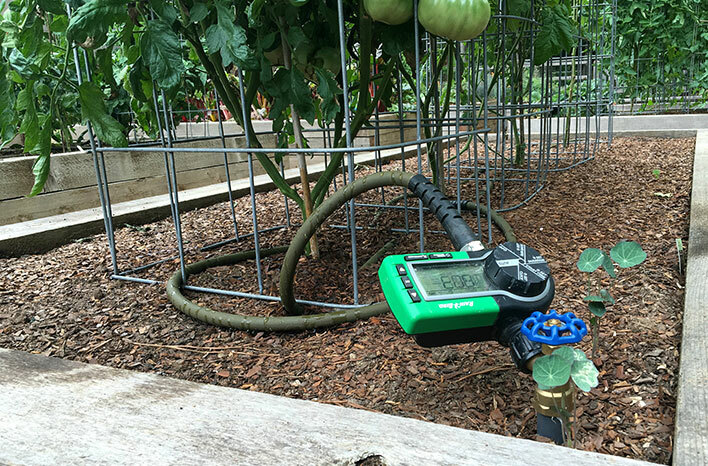 Placing drip irrigation or soaker hoses in your raised beds, combined with a simple battery-operated timer is the key to putting your watering duties on auto-pilot. I can’t speak highly enough about the peace of mind and great success having timers and soaker hoses in all my raised beds. 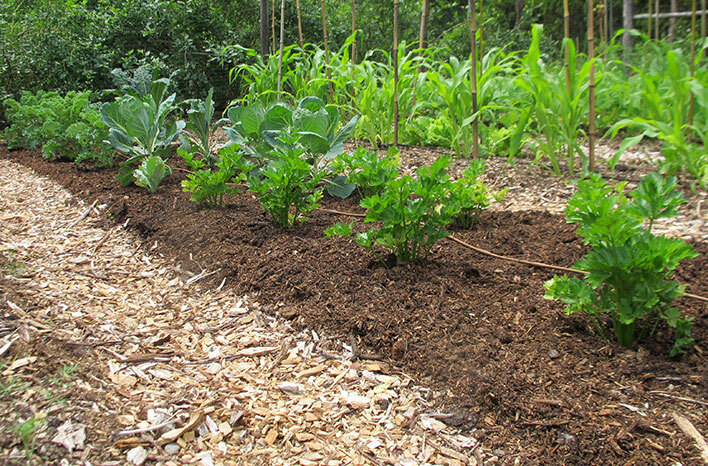 Mulch: The icing on the cake in your raised bed garden is mulch. A one– or two-inch layer of wheat straw, shredded bark, grass clippings, composted leaves, etc. 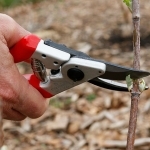 is another key to the success of mine or any garden. 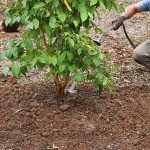 While the mulch will eventually break down to add more valuable organic matter to your soil, while it’s working above ground, it’s providing an insulating layer to help hold valuable moisture in the soil, moderate soil temperatures, and keep weeds at bay. 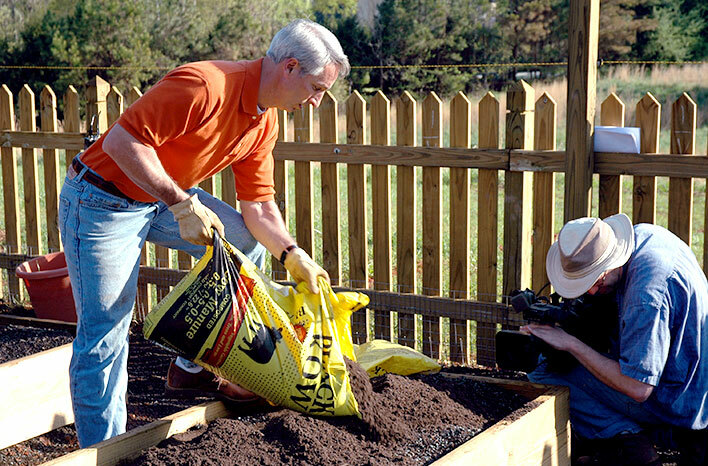 Mulch is to soil above ground what compost is for plants below ground. I can’t imagine any garden under my watch without either. Whether you choose to contain your bed within a raised border, or simply mound the soil up, raised garden beds provide a significant advantage in creating a productive and healthy garden. Gardens that have great soil and drainage are a sure way to get your plants off to the best start. Raise beds are a reliable solution to make that possible.